As we look ahead to spring, this year it begins on March 20th. Lighter foods appear on restaurant menus. Comforting winter food is left behind for fresher dishes. Paella and Rice dishes are a perfect choice for milder spring days. 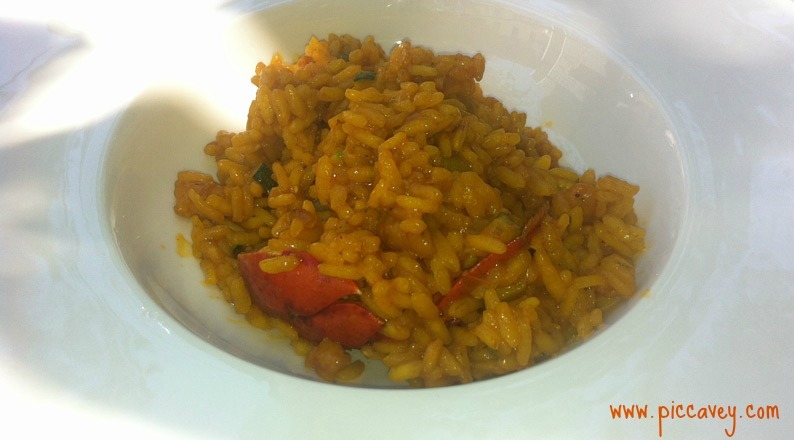 To anticipate this the Restaurante Los Patos has created a special menu based on Rice and Paella dishes. The Spanish typically have rice at lunch time especially if its a celebration or family lunch out. In Granada city centre there aren´t many places that do good rice dishes or Paella. So I was thrilled to discover this new rice menu right in the city centre on Calle Recogidas. The Restaurant of the Hospes Hotel Palacio de los Patos just presented this special menu available in the first week of March. 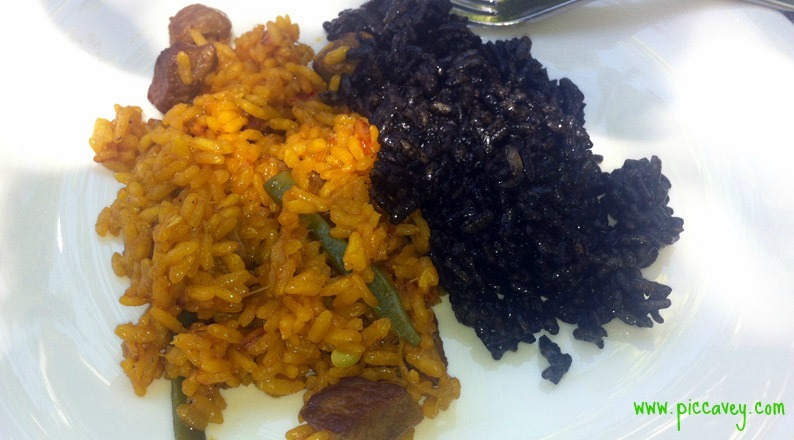 The chef Blas Hidalgo is from Valencia, a region famous for it´s rice dishes. So there is a little bit of of Levante right here in Granada to prepare these fabulous paellas. There is quite a selection of dishes in this special March menu deal. This year the rice selection varies each day. 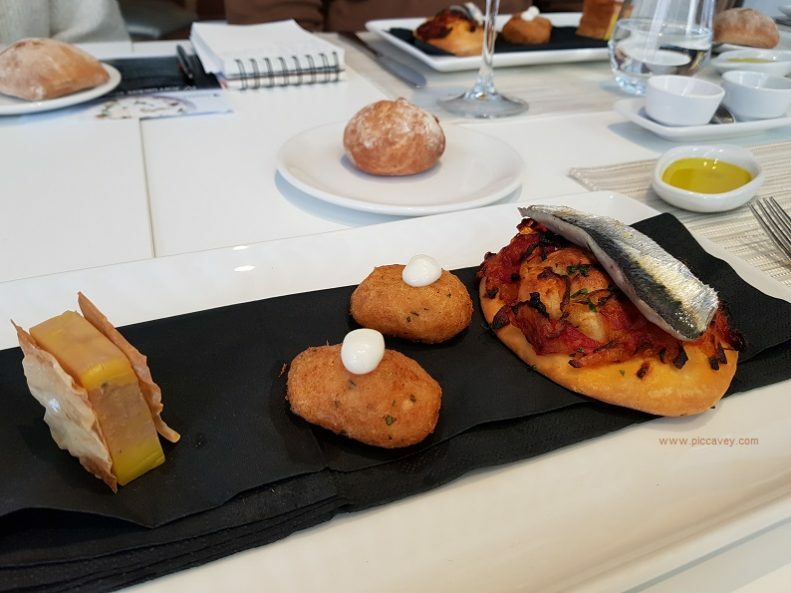 The menu is a fixed price at 38 euros including 2 hours parking at the Hotel Palacio de los Patos. The lunch is structured into Starter, main course and dessert. 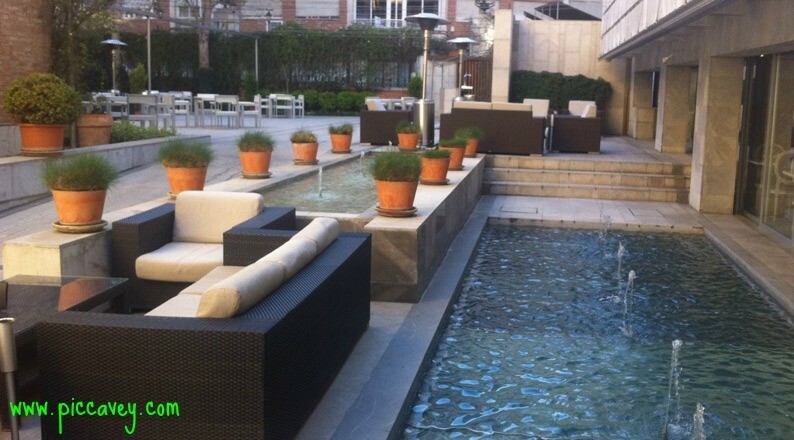 The setting of the restaurante Los Patos is the patio garden of the hotel. This cool area has several water features and fountains. The garden has fruit trees and lots of aromatic plants such as lavender too. Above lots of trailing plants create shade over the tables so that you are protected from the sun. The indoor restaurant would also be an option on extremely hot or cooler days. Rice dishes are always eaten at lunchtime by the Spanish, never in the evening. So apart from the rice dishes the terrace also has a selection of typical tapas. 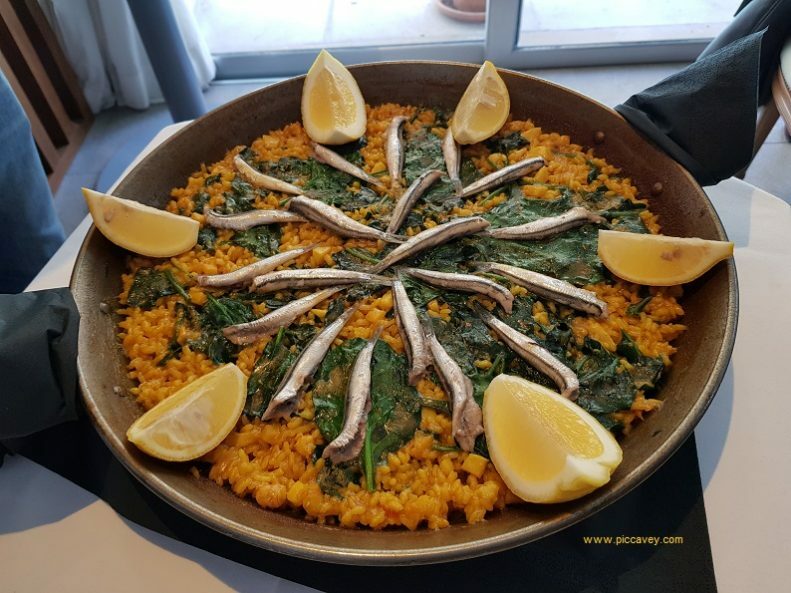 If you are far from Granada (or Spain for that matter) here is a wonderful recipe for Creamy mushroom rice to prepare wherever you are. 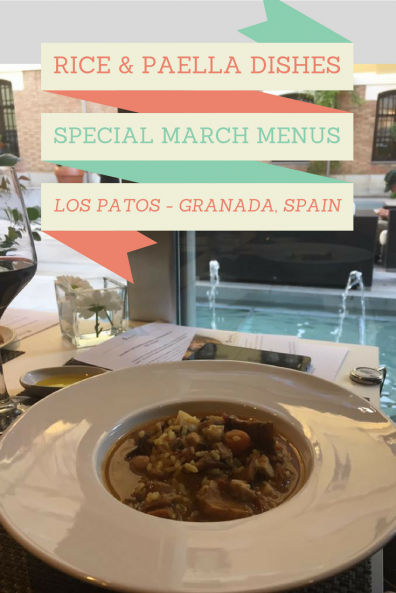 Of course the restaurant does serve some Rice dishes and Paellas all year round on its menu although these rice dishes are seasonal and exclusive to these dates in March. This looks like a great dish… And a great place to have it.